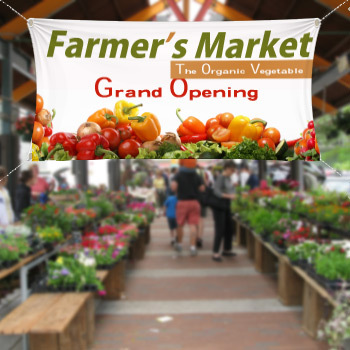 Our low cost online outdoor vinyl banners are best used for outdoor venues. This can withstand the heat, the wind as well as the moisture. 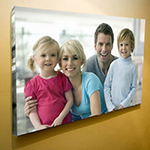 Custom vinyl banner can contain stunning photos and images. This will be a big help when you put across your marketing message. The Printed vinyl banners make a great impression on your customers. 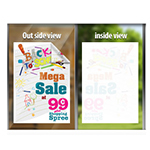 Vinyl banners are cost effective and a great choice for both indoor and outdoor usage. With the most creative and eye catching designs you'll be sure to stand out! Our custom 24"x36" vinyl banners for restaurant from Printing Xpert, available in different sizes so you are able to communicate effectively with a wider audience by spreading your message and grabbing their attention. The banner will be produced by using high quality 13oz ultra flex brand durable material. 13oz banner works well for indoor and outdoor applications. Mesh banners are custom banners that are printed on 8oz mesh vinyl material. UV Inks provide bright vivid colors that last for long time. In 6.8mil thickness, these 100% polyester knit woven fabric banners are ideal for producing flags, banners, displays and widow backlist. The printing will in full color. Grommets are good for use with Sign Hooks or for pinning. Grommets on the banner will be placed on every two feet. This helps distribute the banners weight and keep the banner even at all points. It also makes the banner last much longer because it's more durable at these attaching points. The banner will be with plain edges. Hemmed and sewn edges are typically used to reinforce the sides of vinyl banners. This is a one sided sticky tape used along the edges of your banner for re-enforcing, giving a sharp neat edge without the need for folding and sewing. Pole pockets allow for rigid poles to be inserted along the edge of the banner. This keeps the banner to save for lack of sagging. Grommets on the banner will be placed on all four corners. This is ideal for either banner stands that have top and bottom poles or for hanging displays. Top banner would require a dowel with end caps that allow for hooks or strings for hanging. Bottom dowel for weight helps keep the banner hanging straight. right sides of your banner, allows you to mount your banner with poles secured from one or both sides. Grommets on the banner will be placed on to two top corners. Grommets on the banner will be placed on every foot. 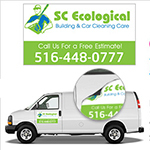 Vinyl Banner is ideal for advertising your business, grand openings, services or special events. They are huge with clear bold letters that grab the attention of everyone with delivering your specific message. The banners are cost-effective way to grab the attention of the customers. If you are opening a new store at new location, then grand reopening of your business is a time to take advantage by advertising and placing banners. The big banners will shout out for the people to pay the attention. Always use bright colors and large text that your message can be seen and read easily. The best New York vinyl banner is available with us. We provide customers a satisfaction guaranteed and the our designs can make you think the creativity of our staff. Full color outdoor banners are printed on very special 48x72" PVC sign vinyl, and then seamed around all four sides for added strength and wind resistance. Grommets are applied where necessary for easy hanging. Banner signs can be tied down, or screwed down, and will advertise your product with high impact. We specialize in the production of digitally printed, PVC advertising banners at low prices. There are no color limitations. If you can dream it we can design and print it. We can print any size vinyl banners you need using the same fast and accurate production process. The most important thing is its position, ensuring you place your banner in front of the right people is key to success, only that brings the required audience and maximum exposure and return on investment. Vinyl banners are a great, efficient and inexpensive way to promote your business, or event. The banners are made from strong and durable vinyl for longevity. 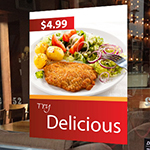 The arrival of wide format digital banner printing has regenerated the simple advertising banner. PVC Vinyl banners have always been a common form of advertising because they are large, not expensive, and robust and use nil cost space to get your advertising message across. The solvent based inks used in large format digital printing give bright durable color with the most involved design you wish. Our printing quality is better. Vinyl banners are generally finished with a turned edge. This double thickness again gives more strength and a good anchor point eyelets which are the preferred method of fixing a banner. When laying out a banner for advertising keep in mind you often only have a few seconds to grab the eye of those viewing it, so do not cram your banner with too much information. Keep it simple, Keep it clear, and hit them with the main message. One thing is for certain, and that is make sure your Banner is solidly fixed, and will not flap, and, just as in choosing somewhere to live or work. I went printingxpert to order for one banner but due to affordable price i gave order for 2 banners. The banner quality is excellent at such inexpensive price. Your banner is super durable! The printing job is excellent as usual, I have never been disappointed from your work. Can I add Grommets to this large format printing banner? Yes, there are several options of where you can add grommets and how many you can add. Grommets are added to make it easier to hang up a banner. Our custom vinyl sign banners are made from strong and durable vinyl. The banners can stand up to the elements when used as outdoor banners, and look excellent as indoor banners. (((((((Fabric Banner))))))) Fabric banners are perfect for application where you need lighter weight material, a non-reflective surface, or higher-end art reproduction work. We can print directly onto a number of different fabrics of your need. The One side option is recomended for outdoor sign materials which include full color on one side and other side blank. In the Two sided option you will get full color printing on both side so it can be more attractive and your message can be displayed through both sides. *If you upload your own file in which the front and back are different then Please contact us after the order is placed to submit the second file. Finishing Vinyl Banner The weight of our banner substrate is 13 ounces per square yard. Gloss finishing, Tear and fade resistant, resists curling, vibrant colors great for indoor or outdoor banners Grommets are Available in order to facilitate hanging of the banner. Grommet Every Two Feet, Plain Edges Hemmed And Sewn Edge, Taped Edge, Pole Pockets, Grommets All Four Corners, Pole Pockets Top and Bottom, Pole Pocket Right and Left Sides, Grommets Two Top Corner, Grommets Every Feet Top Corner.